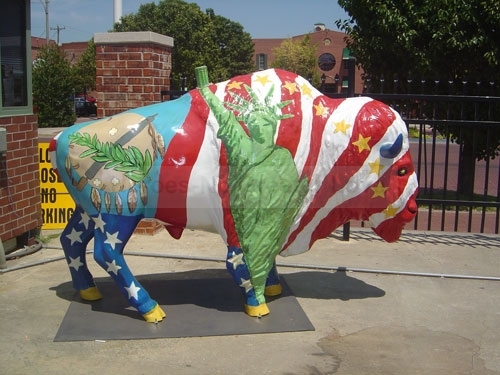 We arrived in Oklahoma and found these wonderful statues of bulls. Although they do not belong to the memorial itself, they can be found throughout the city. We take this opportunity to share this photo with you today which has a portrait of the Statue of Liberty on it's side.